Join the Pavilion Tennis League! Adult players of all standards are warmly invited to join our friendly new tennis league. The new league is intended to give our payers an opportunity to play more competitive tennis. Each round will last eight weeks and players arrange and play their matches at mutually agreed times. 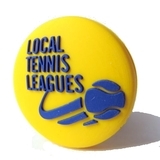 The league costs £12 per round to join, but if you play three matches by the half way point you will receive a FREE tube of tennis balls. The winners of each group (of usually six or seven players) win £20 and certificate. Our new league, which is mixed gender (men and women players are equally welcome) will be operated in conjunction with Nigel and Sally from Local Tennis leagues. Matches are best of three sets and players are put into groups based on their playing standard – so there is room for everyone from beginner to advanced player. There is more information at www.localtennisleagues.com/pavilion. Or you can email Nigel and Sally at paviliontennisleague@gmail.com.